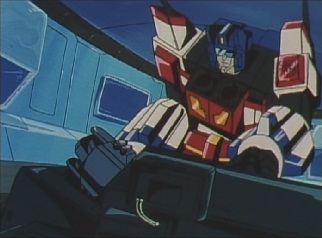 Having fatally wounded God Ginrai and inured Star Saber, the Destrons have a lot to be happy about. They have moved to a solar base, and quickly wipe out the human resistance. 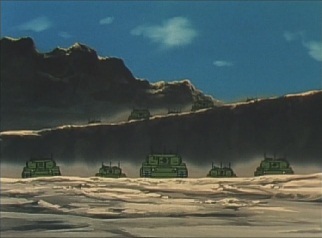 The army moves in with tanks. 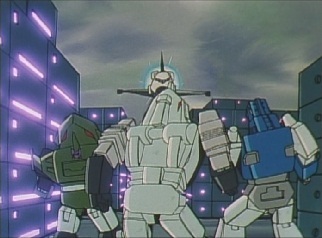 Leozack sees that they haven't learnt their lesson, as he and the rest of the Breastforce start shooting and quickly devastate the opposing force. Deszaras, standing on the Thunder Arrow, tells his troops to wipe the worms out and then take control of the base. 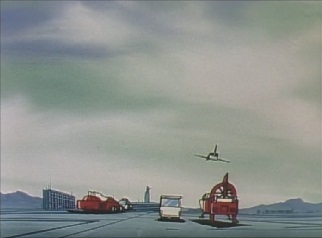 In Shuttle Base, The Cybertrons learn of the solar base attack, but then a report comes in from Dashtacker. 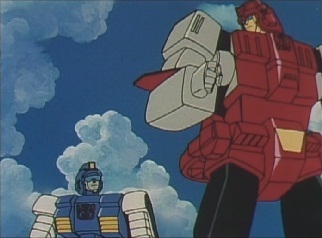 He and Machtackle are fighting with the Dinoforce, who are taking energy from a fuel depot. 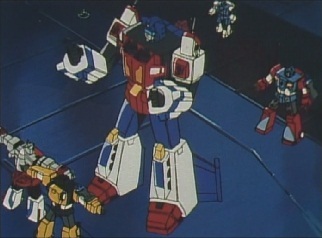 They need help, so Star Saber removes his shoulder cast and tells Wingwaver to go to them with the Rescue Team. 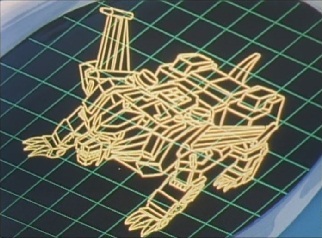 He will go to the solar base with Braver and Laster. The Cybertrons don't think their leader should be going anywhere. He still hasn't recovered fully and needs rest. 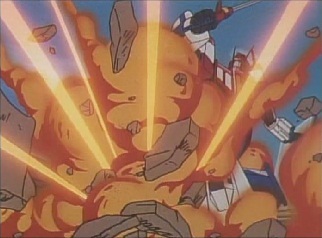 Star Saber stumbles forward, but has to drop down in pain. But he doesn't want to let the human casualties get any higher, and forces himself outside. 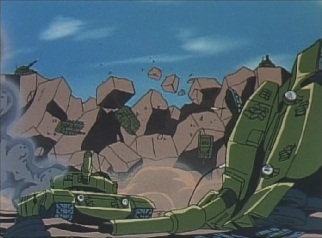 He transforms and takes off, with Laster and Braver grabbing hold of him, but almost crashes into the sea. He manages to pull himself together and gain height just in time. 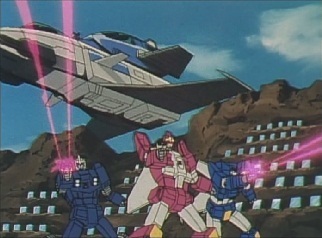 Wingwaver tells Holi to hurry, as they'll move out in Galaxy Shuttle. Someone then tells them to wait -Blacker has appeared. He removes his casts and says that someone should have stopped the Supreme Commander from leaving, and that their leader hasn't changed a bit since accepting his rank. 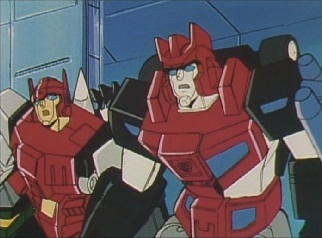 Since he didn't want to wake up with more injured Cybertrons next to him, he tells Wingwaver and Holi that he is going with them. The group board Galaxy Shuttle, who blasts off. 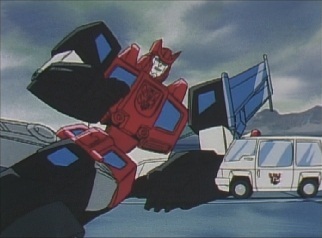 Meanwhile, God Ginrai is still inside the base, in the intensive care room. 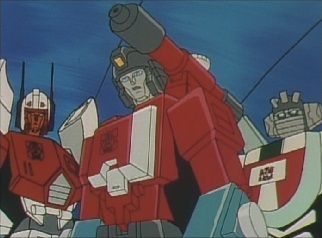 Perceptor, Wheeljack and Minerva have been summoned to Earth to try and help God Ginrai, but he can tell by their looks that he is done for. 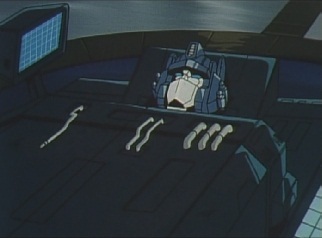 He thinks about the past, remembering when Star Saber was offered the highest rank in the Cybertron forces: Supreme Commander. 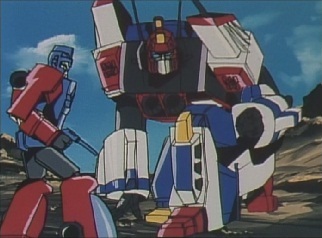 Star Saber told God Ginrai he didn't like giving orders, and hoped that he would continue to help him. 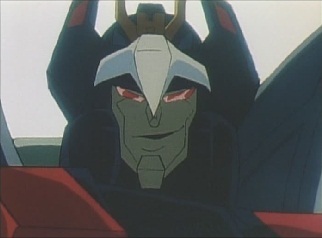 God Ginrai said of course he would. 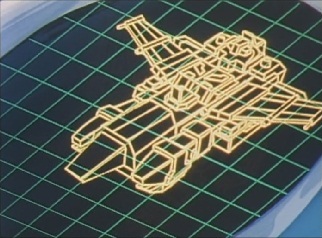 Meanwhile, the Dinoforce are busy stacking their stolen energy when Galaxy Shuttle zooms over them. 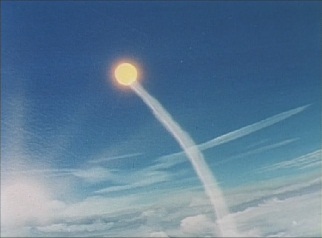 They start firing, so Wing, Waver and the Rescue Team drop out of Galaxy Shuttle and head towards the fuel depot. 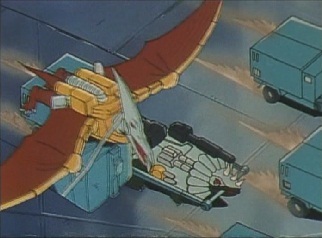 Blacker also jumps out and transforms, but gets stuck mid-transformation and ends up back in robot mode. He crashes to the ground, as Piupou drives up to him and asks if he is alright. He says to forget about him and to go and stop the energy theft. 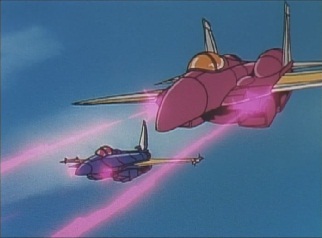 The two sides are soon engaged in a fire fight. Elsewhere, the Breastforce are busy transporting their energy into the Thunder Arrow. 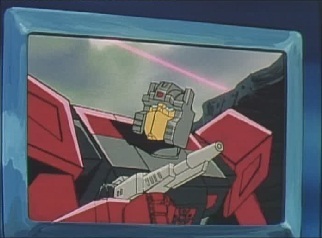 Leozack says that with Star Saber and God Ginrai dead, the Cybertrons will be nothing to fear. 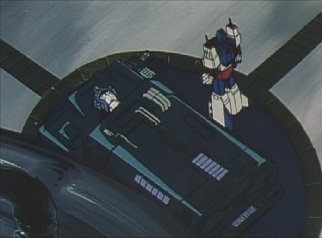 Deszaras reminds him that Star Saber's life was not put to an end yet. 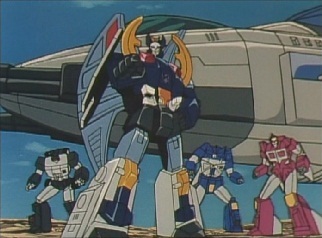 However Star Saber then appears, and drops off Laster and Braver. 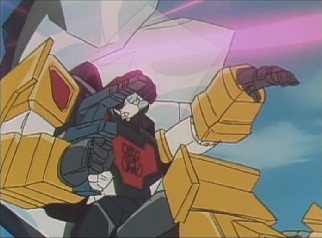 Deszaras thinks Star Saber must want to be finished off. Laster and Braver run towards the Thunder Arrow. 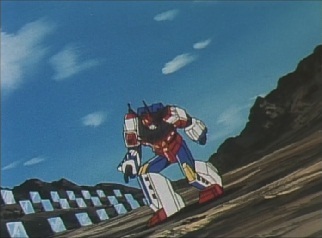 Star Saber transforms and lands, but stumbles as soon as he does. 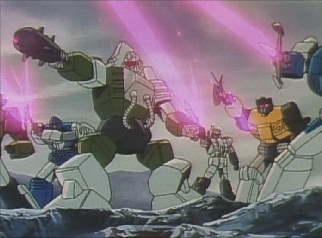 Leozack, Drillhorn and Killbison move in and start firing, forcing Laster and Braver to defend their leader. 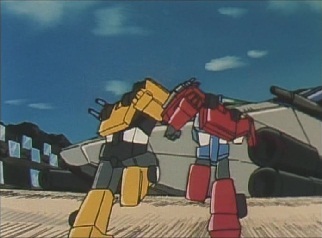 Boater and Holi see Star Saber's performance, and realise he really wasn't ready to go into combat yet. 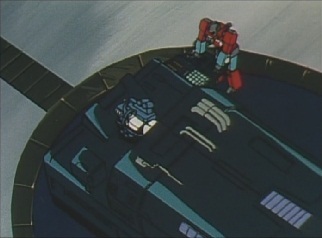 Inside medical, Perceptor tells God Ginrai that whilst they have tried several different treatments, nothing has worked. 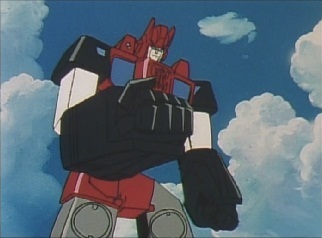 God Ginrai knew he was done for already. 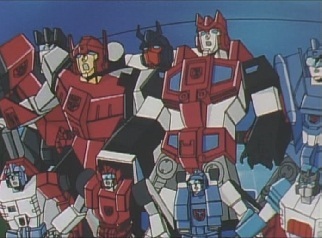 Perceptor then says that he is only done for as God Ginrai. 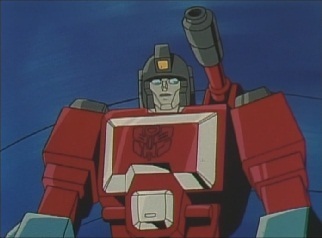 There is one last option, an option that would change God Ginrai. 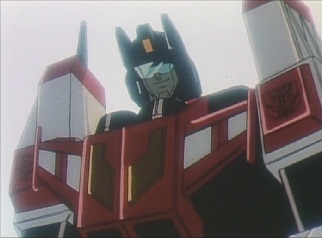 God Ginrai says he is not as advanced as a Brainmaster, and that he's lived his life as a Godmaster without regrets. 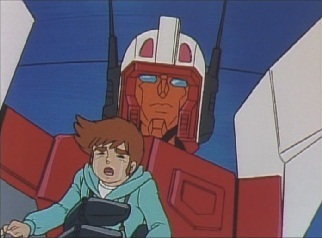 That's enough for him, he doesn't care about Perceptor's plan. 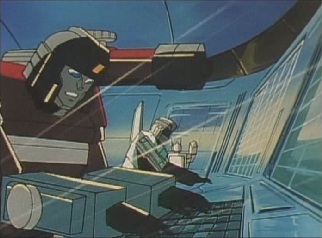 Perceptor goes back to the others and prints off some computer data. 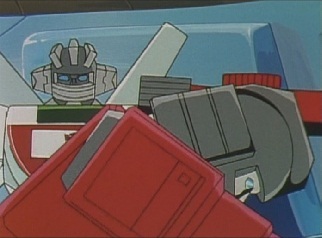 God Ginrai changes his mind, and decides to listen. 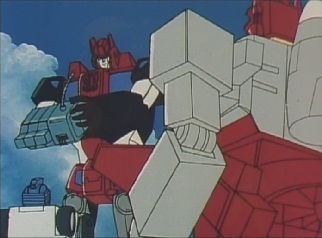 However now Perceptor has changed his mind and tells God Ginrai to forget about what he said earlier. He's known him for a long time and was getting desperate in trying to preserve his life. 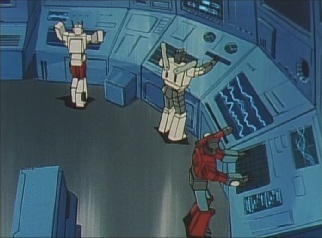 Wheeljack thinks they should tell him what they could do, and despite Perceptor's protests, he steps forward. 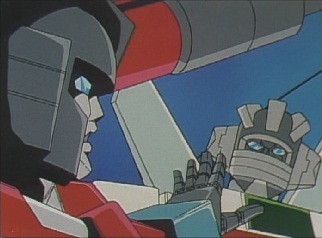 Wheeljack tells God Ginrai that he possesses extraordinary abilities, so the reconstruction process should be...Perceptor cuts Wheeljack off, but God Ginrai wonders about the process. 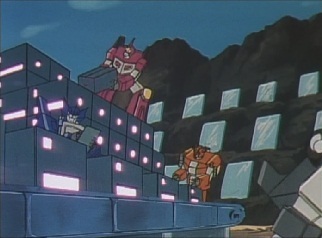 Meanwhile Star Saber's group is fighting a losing battle. 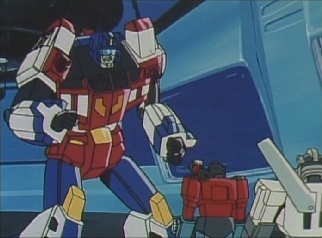 Deszaras sees that Star Saber's position of Supreme Commander means he cannot stay put despite his injuries, so he has his troops move in. 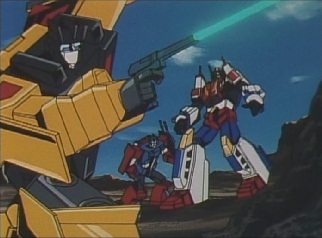 Star Saber gets blasted around, as Deszaras summons his cannon and has is draw energy from himself. 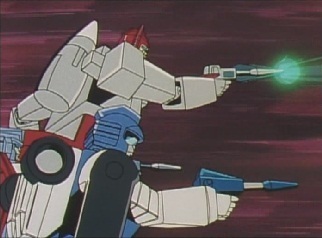 He fires, and whilst Star Saber blocks the shot, he still gets pushed back into some solar panels. 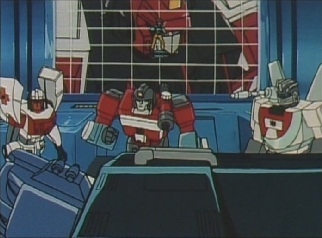 Back in Shuttle Base, Perceptor thinks they have said to much. 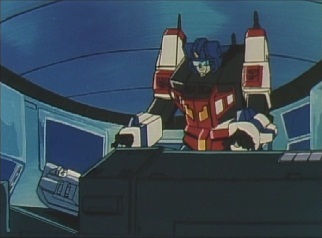 Jean then appears in the room and says that Star Saber is in danger. He thinks he will be killed and even wants someone to take him to the battle now. 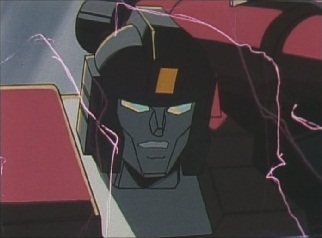 God Ginrai, having heard his words, tells Perceptor to do as he is about to say. 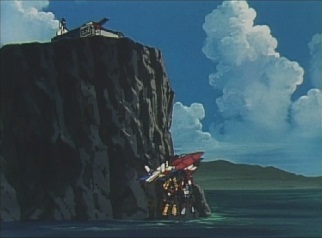 At the solar base, Star Saber is contacted by Jean. 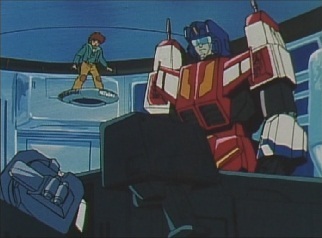 Jean tells him that God Ginrai wants to see him immediately. 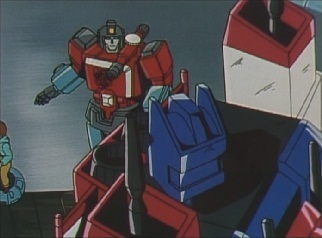 Star Saber thinks his friend's condition must have worsened, and Braver and Laster tell him to go and see him now. 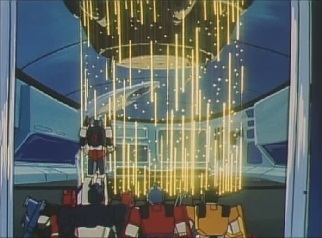 Star Saber transforms and leaves the solar base. 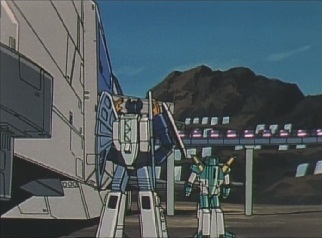 He soon arrives at Shuttle Base and heads inside. 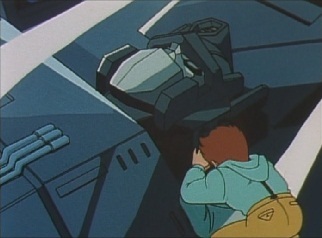 There is learns that God Ginrai is going to die, as his body is broken. 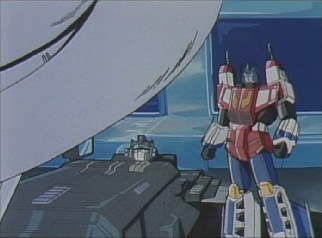 God Ginrai says that he cannot be a Commander like this. 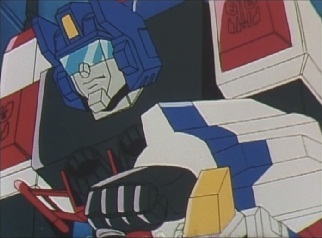 He wants to have his body reconstructed, so he can become a power-up for Star Saber. 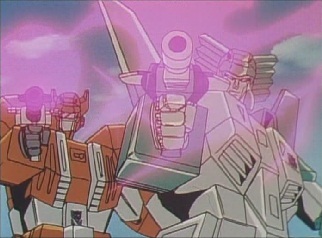 Star Saber is furious with the three Cybertron medics for revealing his reconstruction design to God Ginrai. 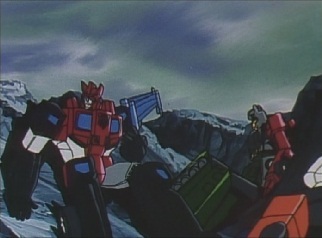 God Ginrai tells him not to reprimand them as he made them tell him. 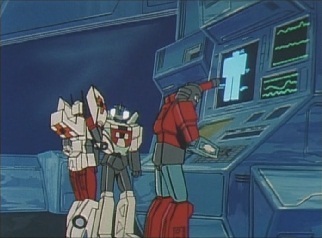 This is his own decision, and he has Perceptor bring up the design on a monitor. 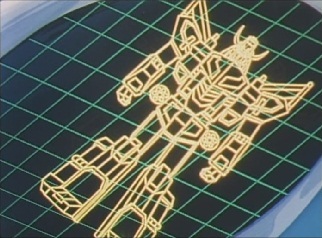 The reconstruction will change God Ginrai into a being with three different transformation modes: a lion, a jet and a robot. 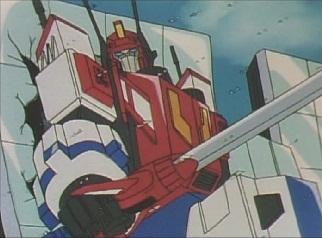 God Ginrai says his decision is firm, but Star Saber can't allow it. 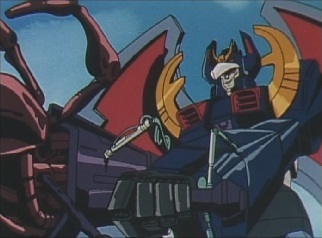 He may be reborn as a new lifeform, but God Ginrai will be gone forever. 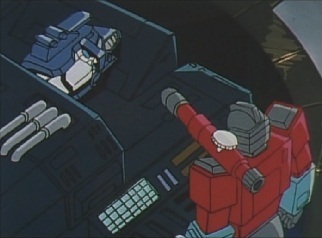 God Ginrai says tells Jean that he won't die, he'll be reborn. And if that happens, he'll be able to combine with the Supreme Commander and stop the Destrons from doing as they please. 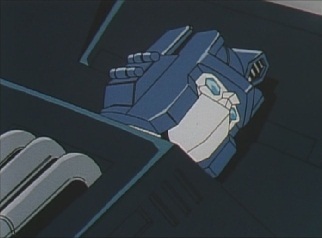 Perceptor warns that they must start the process soon, otherwise it will be too late. Meanwhile, the Dinoforce have gathered up their energy, and move out. Wingwaver and Holi try and follow, but Wingwaver collapses from his injuries, whilst Holi turns around and sees that everyone else is in bad shape also. At the solar base, the other Destrons also retreat. 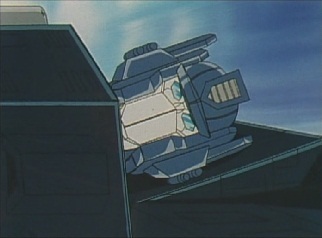 Back in Shuttle Base, God Ginrai is lowered down into a small chamber. 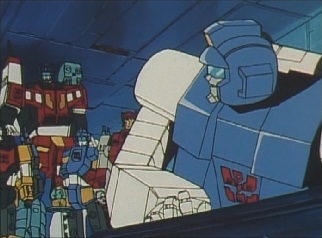 Perceptor and the others prepare to start, as the other Cybertrons return and enter the room. 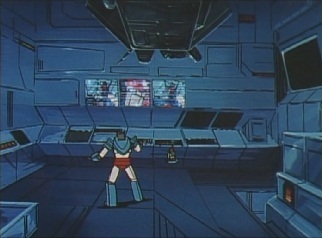 Minerva picks up Jean and moves him away from the chamber, as the process starts. 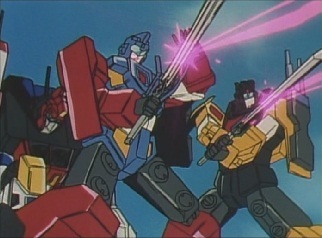 Perceptor surprises the newly-arrived Cybertrons by saying that Ginrai shall die in one minute, as he, Perceptor and Minerva work the controls. 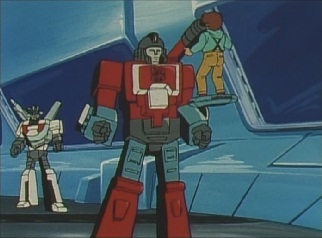 Perceptor says that he will be revived as a new lifeform, and tells Wheeljack and Minerva to concentrate on the revival operations. 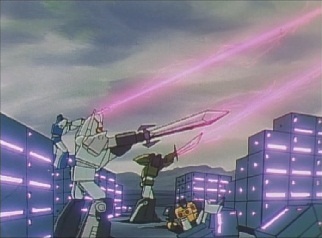 There is a great flash of light, and as Jean and the Cybertrons gather around the chamber, they see that Commander God Ginrai is dead. 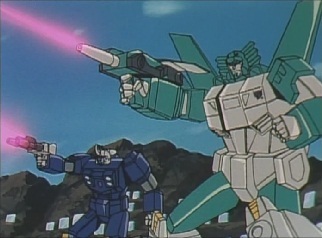 Hey, Wheeljack is back! 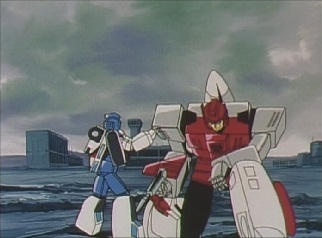 Wheeljack seemingly died in Transformers: The Movie, but he apparently he got better and is alive and well for his appearances in this series. 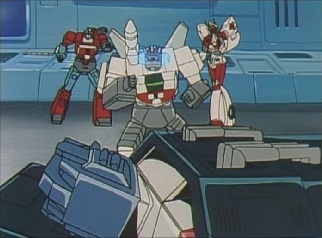 Transformers: The Movie had been released in Japan in August 1989, around a month before this episode originally aired, making Wheeljack's appearance in Victory an error. 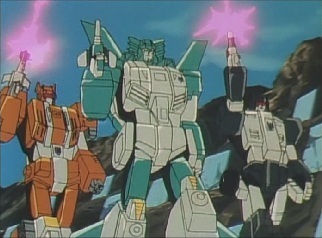 Not that I'm complaining, because Wheeljack is one of my favorite characters. 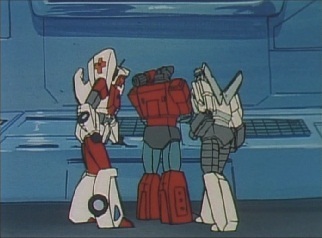 None of the Cybertron medics are actually named in the episode, as everyone refers to them as just "doctor". They are, however, named in the credits.